Antibiotics cannot cure a root canal infection because the source of the infection is inside the tooth where there is no blood supply; without blood supply, there is no mechanism to deliver antibiotics. The cure is the complete shaping, cleaning and obturation (sealing) of the contaminated root canal space. 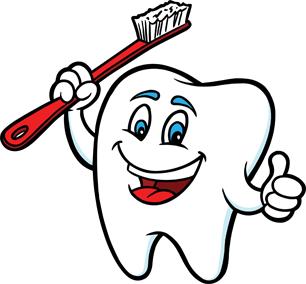 Dentistry can be compared to medicine and its specialties. Your family dentist is like your family physician. He or she can treat a wide range of needs and help keep you in good health. Like your family physician, your general dentist will advise you to see a specialist when it is necessary. Your periodontal disease can progress to the point where a specialist, your periodontist, has been recommended. Your periodontist has treatment and diagnostic skills to treat your disease in cooperation with your general dentist. Aside for treating periodontal diseases, there are other reasons to visit your periodontist. If you are missing one or more teeth, and are considering dental implants, your periodontist can help you decide if they are appropriate for you. He or she also is trained to work with you and your general dentist or prosthodontist when missing teeth are being replaced with dental implants. In addition, your periodontist also can help create proper gum appearance to improve your smile. Just because you have started to see a periodontist, doesn't mean you should stop seeing your general dentist. Your periodontist will work in cooperation with your general dentist to treat your periodontal disease, and help coordinate your dental care. Periodontal diseases can be accelerated by a number of different factors; however, it's mainly caused by the bacteria found on dental plaque, a sticky colorless film that constantly forms on your teeth. If not careful removed by daily brushing and flossing, plaque hardens into a rough, porous substance known as calculus (or tartar). Bacteria found in plaque produces toxin or poisons that irritate the gums, which may cause them to turn red, swell and bleed easily. If this irritation is prolonged, the gums separate from the teeth, causing pockets (spaces) to form. As periodontal diseases progress, the supporting gum tissue and bone that hold teeth in place deteriorate. Left untreated, this leads to tooth loss. The best way to prevent gum disease is effective daily brushing and flossing as well as regular professional examinations and cleanings. Unfortunately, even with the most diligent home dental care, people still can develop some form of periodontal disease. Once this disease gets started, professional intervention is necessary to prevent its progress. It will remind you a lot of going to your family dentist. Remember, periodontists are dentists, too. Your periodontist will review your complete medical and dental history with you. It's extremely important for your periodontist to know if your are taking any medications (both prescriptions and over-the-counter) or if your are being treated for any condition that can affect your periodontal care. You then will be given a complete oral and periodontal examination. Your periodontist will examine your gums, check to see if there is any gumline recession, assess how your teeth fit together when you bite and check your teeth to see if any are loose. After that, your periodontist will take a small measuring instrument and insert it between your teeth and gums to determine the depth of those spaces, known as periodontal pockets. This helps your periodontist assess the health of your gums. This examination is so simple, your may barely feel it. Next, radiographs (x-rays) will be used to show the bone levels between your teeth to check for possible bone loss. I don't have gum disease, do I? Periodontal diseases are quite common. In fact, 75% of us have some form of them, although they can be known be different names. Some common names for periodontal disease are periodontitis, pyorrhea, gum disease, trench mouth. Most people don't know they have periodontal (gum) disease, or even that the specialty of periodontics exists, until their dentist brings it to their attention. One of the reasons it comes as a surprise is that periodontal disease (also known as periodontitis, gum disease, or pyorrhea) is a silent disease, with few obvious symptoms in its early stages. Periodontitis is a chronic disease. It takes a long time to develop and can be characterized by short periods of rapid tissue breakdown, followed by long periods of quiescence. With treatment, a periodontal condition can be controlled and maintained. It is important to note that treating periodontal disease takes a team effort: Your dentist, your periodontist, and you. Pockets: Pockets occur when the collar of gum becomes infected and detaches from the tooth - creating a space. This space is a "pocket." Your dental exams should include "checking for pockets." If your dentist is not, ask them to do so. Bleeding: In spite of its common occurrence, gums are not supposed to bleed any more than fingers, ears, or noses do on their own. If any of those starts hemorrhaging, everyone knows to stop the bleeding, and look into it if it recurs. However, when gums continue to bleed, many simply ignore it, as if it were "normal." Bleeding gums are not normal. When gums bleed, at the very least, a minor, reversible problem exists. Sometimes the bleeding is a sign that there are deeper problems, and without some kind of treatment, pockets and bone loss will continue to occur. Bone loss: Dental x-rays, taken at regular intervals, chronicle bone levels surrounding the teeth. Subtle changes can be seen, and when they are observed, they are definite markers that periodontal breakdown is occurring. Bone loss left untreated, progresses until teeth are compromised. Fact: seventy percent of all teeth removed from adults are from bone loss due to periodontal disease not decay. Loose teeth: Often early signs of loose teeth are detected by the dentist or hygienist, not by the person. Looseness in teeth is a sign that something is wrong. When discovered, the cause needs to be determined and corrected. Spaces forming between front teeth: In general, teeth don't shift their position, though crowding of the lower (mandibular) front incisors does occur as we age. However, when spaces start forming between some of the upper (maxillary) front teeth, it's time to figure out why. Sometimes, so many new dental restorations have been placed on the back teeth that the front teeth shift. This happens. However, the more common reason for front teeth to flare out is due to advanced bone loss and the lack of tooth support that comes with progressive periodontal disease. Once it occurs, it should be treated before it gets worse. Halitosis: Bad breath may be a sign that significant periodontal problems exist in someone's mouth. Once the periodontal problems are under control, bad breath often goes away. Abscess: Occasionally, the first time a person knows they have a gum problem is when they get a periodontal abscess. An abscess occurs when bacteria are trapped in a gum pocket. They have no way of escaping and the pocket expands, forming an abscess. If treated in time, little damage is done to the surrounding bone and tooth. Not treating an abscess in time, can lead to rapid and severe bone loss. When this happens, additional periodontal treatment is needed. Like all chronic diseases, periodontal disease doesn't go away. It won't get better by itself. It can remain silent and in remission, only to act up at a later date. As the condition worsens, it's harder to treat successfully. That's why once gum problems are noticed or diagnosed, it's best to initiate treatment as soon as possible. How soon after my treatment, do I have to follow-up with my family dentist for the permanent restoration? In most cases, a temporary filling is placed on your tooth at the end of your treatment appointment. This temporary filling is only meant to last 4-6 weeks, after which it will start to break down. We strongly recommend that you schedule your appointment with your family dentist for the permanent filling two weeks after your root canal treatment.